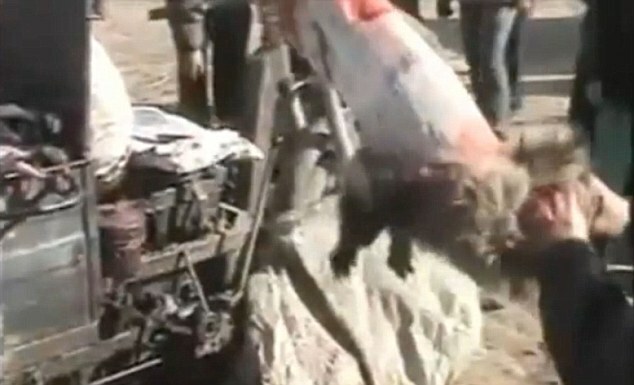 Skinned Alive to Make Fake Ugg Boots: Horrific Footage Reveals Slow, Sickening Deaths of Raccoon Dogs. Thousands of unsuspecting Britons may be buying imitation Ugg boots made from the pelts of animals skinned alive. 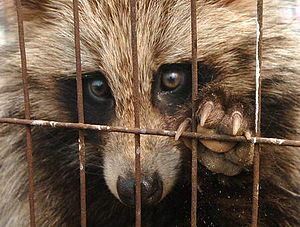 The fur comes from raccoon dogs, a species related to domestic dogs, farmed in China. A sickening video of the skins being collected has led activists to demand a ban on the trade and call for clearer labelling. 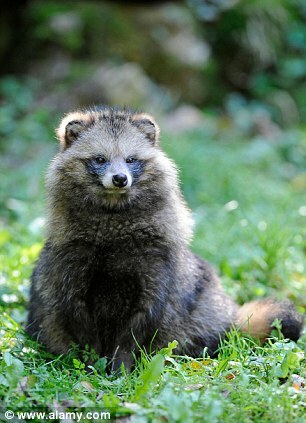 The raccoon dog is indigenous to Asia and related to dogs and foxes. Ugg boots are made from Australian sheepskin and cost up to £200 – but cheap imitations have flooded the market. 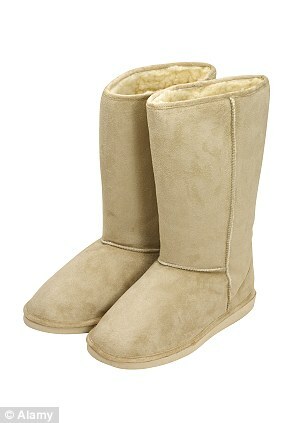 Genuine Ugg boots cost up to £200 and use sheepskin, which is produced in a humane way. But campaigners have found that other companies in Australia, where the popular boots are made, are using raccoon dog fur farmed in China and labelling it ‘Australian sheepskin’. Campaigners from Humane Society International (HSI) warned that the footwear could have found its way into the UK. While the law says that no products using dog or cat fur may be imported or sold in the country, there is no ban on fur from raccoon dogs, an Asian species with links to foxes, dogs and jackals. They are not related to raccoons. 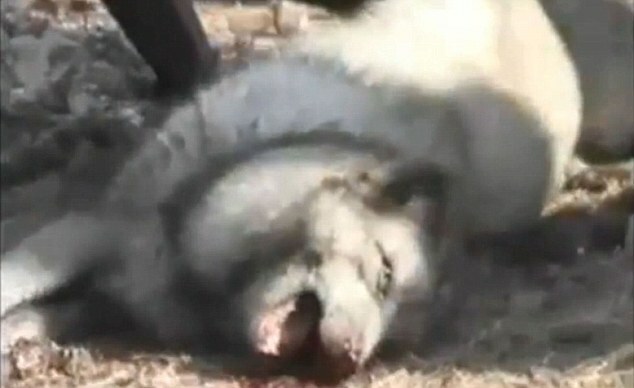 Pitiful: A bloodied and dazed creature is shown still alive but helpless on a pile of corpses. 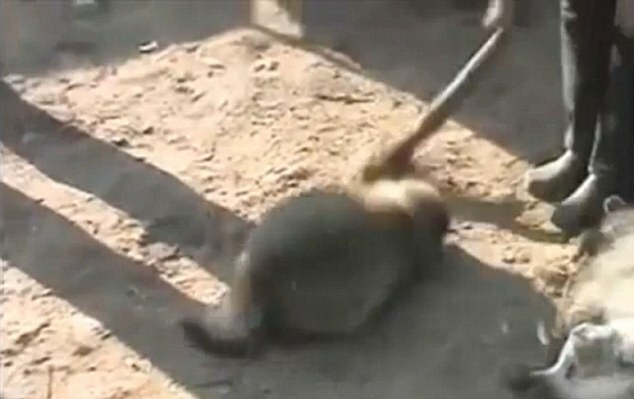 Agony: A raccoon dog is beaten to stop it struggling so it can be skinned alive. I have been working in animal rights for more than a decade and have never seen a video that has shocked me so much. ‘It is not just the killing of the animals that is horrific, but the fact that they must endure such slow, painful deaths. ‘These animals are not dogs, so there is no legislative reason why boots containing the fur cannot be imported into the UK. There are also many problems with the labelling of fur products, so many consumers will not be aware of where the fur in their boots comes from. Websites found by HSI show other companies are selling the fur on gilets, coats and ear-muffs for delivery to the UK. Ugg Australia denied they were using the fur in their own boots and pointed the finger at cheap copies. 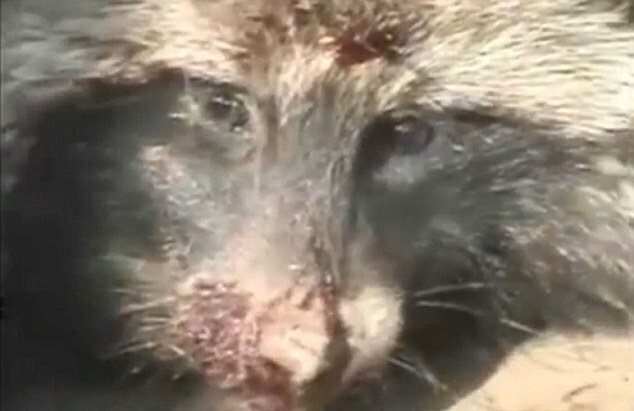 Cruelty: A raccoon dog is beaten on the head in an attempt to stun it. Another dazed animal lies on the right-hand of the image. Force: A worker stands on an animal’s neck to stop it struggling. The process of skinning the raccoon dogs is agonisingly slow. Lena McDonald from Ugg Australia said the use of raccoon dog fur by other companies was tarnishing the entire industry as many people were unable to tell the different brands apart. The UK Government announced its ban on importing cat and dog pelts from China in 2001 after it emerged that a fur collar, obtained from a leading store in the West End, contained dog fur. A total ban on the trade in dog and cat fur came into force across Europe in December 2008. Comment – As difficult as it is was to read about and see these terrible photographs, it is important to get the word out. Most folks who buy these boots are unaware of the cruelty involved. I suggest to all: read the labels on everything you buy– if it’s not manufactured in your home country, don’t buy it. Yes, that’s time consuming and inconvenient. But it’s the only way to avoid fueling this type of cruelty. By buying largely domestic goods, you will also avoid dangerous ingredients (remember the Chinese toothpaste and the melamine in dog food) and support your local economy. – Dianne, Michigan, USA. Make no mistake this is a Barbaric process carried out by Brutal Chinese workers, that beat the Dogs with Iron Bars, Kick them, Stamp on them and Slam on or against concrete walls to stop them struggling. Please Sign Our Petition To Stop Raccoon Dogs Being Skinned Alive in China for Fake Ugg Boots, Slow, Sickening, Horrific Deaths. 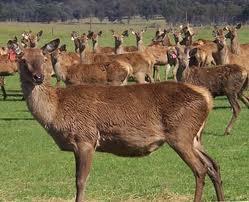 These poor animals need your support, tell all your friends and family, thank you. The Really Costs of Ugg Boots! Raccoon trap case prompts animal cruelty investigation in D.C.